Cleanse diet, or also often known as detox diet is a vibrant way to lose weight fast. As the name suggests, this diet is aimed at cleansing your body from unwanted toxins. And although it’s an effective way for weight loss, cleanse diets can also recharge, renew, and jumpstart your body for a more healthy and energetic life. Cleanse or detox diets might be a common concept for a lot of people, but many people failed to grasp its core principles and essences, and in turn, failed to get the most of their cleanse diet. Cleanse diets can come in many forms, methods, and can use various different menu and recipes, although mainly involving strict diets of fruit and vegetable choices. Yet, their goals are the same: cleansing your body parts like kidney, colon, and liver from unhealthy toxins such as excess caffeine from coffee, parasite, excess sugar, fat, and lose water weight among many others. In this post, we will discuss several safe and effective methods of cleanse diets. However, before we delve into that, let us first discuss several benefits and effects of the cleanse diets. Here, we will discuss several popular cleanse diet methods that are easy and effective, along with the instructions and directions. Check out our other article for even more information on how to do the master cleanse diet. As the name suggests, the alkaline detox or alkaline cleanse will involve consuming solely fresh and raw alkaline soup, smoothie, and juice between 3 to 10 days (and beyond if necessary). The idea behind this diet is that alkalizing nutrients are easily absorbed and assimilated, so that your body will absorb a lot of calories while cleansing, and will not lose the necessary energy. Mix them in a juicer and you are good to go! Blend all of the ingredients, except one tomato. Warm the blended soup in a pan, only until it is warm enough and not raw. Top it with the slices of the last tomato. The review for the alkaline diet remains very good ever since it was introduced, and it is relatively easy to do since you will retain nutritional energy from the easily absorbed calories although you avoid other foods.Not only the recipes are easily absorbed, they are great to flush out toxins in a very quick manner. The result? Very effective to jump start your energy level, as well as helping you lose weight. The alkaline detox is great to use in conjunction with other diet plans, such as the GM diet, ketone diet or the Candida diet. Have all the benefits of being a vegetarian in just three to ten days. The urban legend stated that this diet was popularized by Beyonce herself. Although the fact surrounding that remains a mystery, the lemonade diet has been proven one of the most effective cleansing diets, especially if you are also aiming to lose weight.Essentially, the lemonade diet is consuming exclusively the homemade lemonade recipe 12 times a day for 10 days or beyond. Fresh lemon or lime juice, mixed with cayenne pepper, maple syrup, and water. Drink this juice 9 to 12 times a day. A pure salt water bath is preferred during the regimen. Herbal laxative every morning and night during the diet. Do not take any other food or beverage during the ten days period. The lemonade diet is very easy to start but can be a challenge to finish for the total ten days without other foods to eat. However, the reviews for the lemonade diet remains positive over the years, so it will be worth the challenge. Not only lemonade and cayenne pepper combo cleanses your body effectively, it is also great to lose rapid weight and will definitely show results in your slender body and flat belly. Admittedly, the greatest challenge for this plan lies in the weekend, so you can probably start in the weekend where your motivation and energy level is still high (You will hit only one other weekend during the regime). One of the key highlights of this diet is that the ingredients are very cheap and simple to find, accessible for everyone. You can prolong the masters cleanse lemonade diet for 20,40 or even 60-days, with some users even reported a 15 to 17-pound loss! Mix all of the ingredients up in boiled water in a large soup pot. Simmer for roughly 45-minutes or until the vegetables are fully cooked. You can grill the fresh vegetables before adding them to the water. 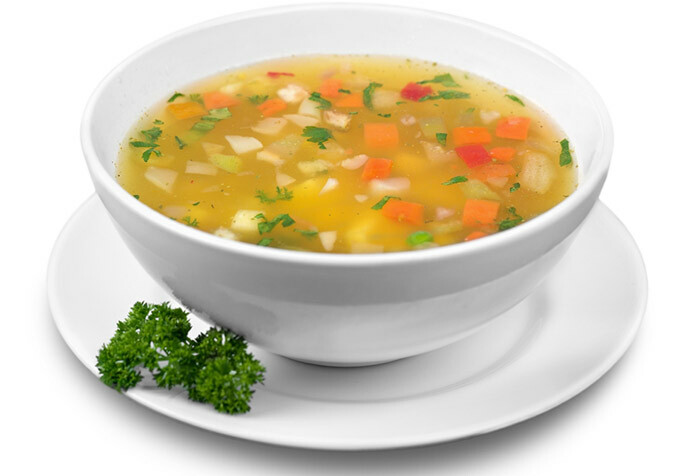 The Wonder Soup is an essential part of the 7-day GM Diet plan, which is one of the best diet plans to lose weight rapidly. The Wonder Soup with cabbage as its core ingredient will provide enough nutritional energy during the GM cleansing diet, and after a full seven days, you will get the lean gut you have been dreaming of. Try the 7-day GM diet by following our guide, and download our PDF guide here. First, place the raspberries into the very bottom of your jar. If you are using the Medjool dates, they come next and layer the lemon slices on top of them. Pour the spring or filtered water and place the lid on top. Place the infused water into the refrigerator for 1 hour. Remove from the refrigerator and pull out the lemon slices after another 1 hour. Squeeze the lemon slices into the water (for their juices). Add the lemon essential oil into the jar, stir the water. Put the lid back on and put back into the refrigerator overnight. You can leave the raspberries and Medjool dates for up to two days. If you are looking for a 24-hour plan or 48-hour weekend detox plan, this raspberry-lemon detox water can be a great choice. The 1-gallon infused water can be consumed for a day, and if you are planning for a 48-hours cleansing diet, you can simply make two of them. One of the easiest and most popular cleanse diet methods: the fruit diet, and also arguably the most natural way. As the name suggests, here you limit your diet to exclusively fruits, with apple and citrus fruits being the most popular choices. For a maximum effect, you can do the fruit detox exclusively for 21 to 30 days. Besides the diet plans we have described above, there are also other popular cleanse diet methods out there, such as the cranberry drinks and juices detox, Jamba juice detox, Wild Rose diet, Liver Cleansing Diet by Dr. Dodds and many more. Cleanse diet is not only important for us humans, but can also be useful for the liver health of your canine pets like your dogs or cats. This is a nice article from Animal Wellness that might be useful for you pet lovers. Popularized (albeit controversially) by Dr.Oz, Garcinia Cambogia pills are still a popular choice for cleanse diet supplements with its appetite suppressant and fat burning properties. Check out Stanley Burroughs amazing book on this cleanse. There’s so much helpful information if you’re really wanting to give this cleanse a try! Omega-3 is an important nutrient during your cleanse diet period to support your fat burning process and lower triglycerides. A product dedicated for a detox program with many good reviews. A two-week (14 day) version is available. A similar product by GNC, Herbalife, Arbonne, and Advocare are also available. A similar product, endorsed by Kim Kardashian herself. This is a very popular book by Sandra Cabot with a lot of valuable information if you’re interested in trying a liver cleansing diet. Whether you think the master cleanse is for you or you’re still skeptical, we encourage you to continue reading! Taking steps to improve our health can be a challenge but with the proper means, it can be really rewarding.